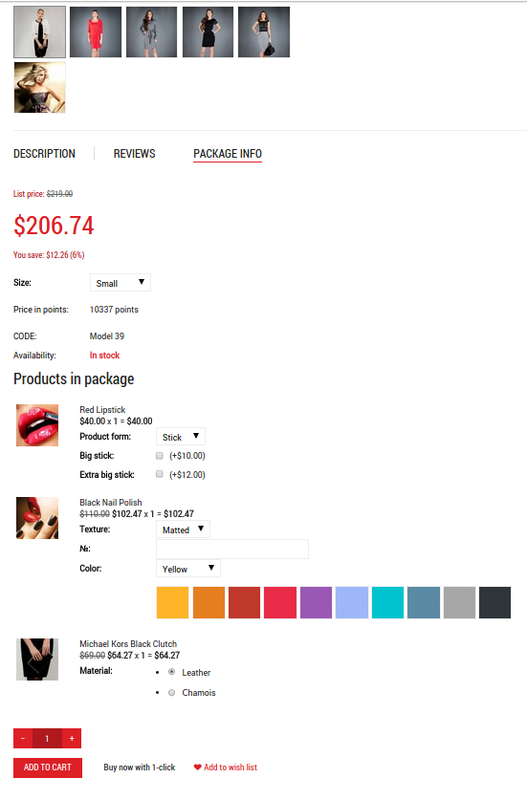 The Product Packages add-on allows you to sell products in packages, i.e., when several products are grouped together and sold as a set. A product can be in several product packages and sold separately. It is of particular use when products are bought together, rather than separately. 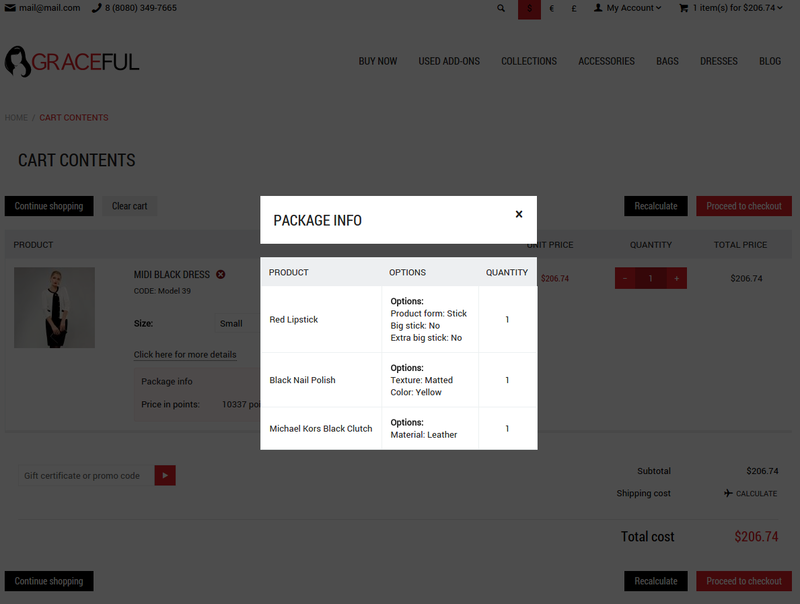 Besides, you can offer your customers special discounts which are applied only to certain product packages. 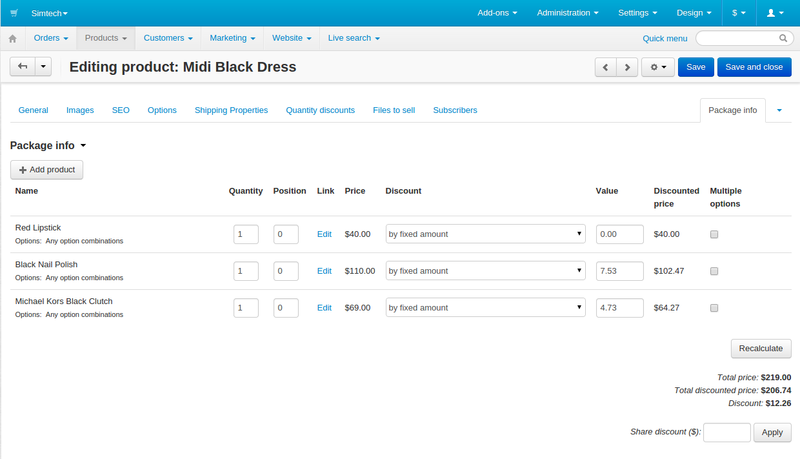 Add-on will be useful for those who sell sets of flatware (forks, spoons, plates, cups), sets of clothes (trousers, shirts, ties) and others. 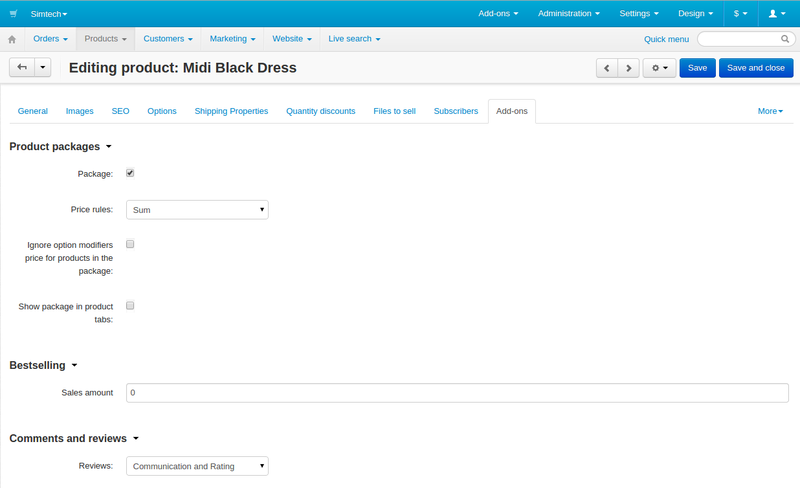 ability to choose the number of columns in the additional products section. NOTE: When buying CS-Cart Product packages add-on for CS-Cart version 4.1.x, you need to request installation by our specialists.